Cabot Mill Antiques Celebrates its 22nd Anniversary! Brunswick, Maine Saturday November 3rd and Sunday November 4th, 2018 from 10:00am to 5:00pm. Cabot Mill Antiques will be celebrating 22 years in business, with 20% off storewide discounts on Saturday November 3rd and Sunday November 4th! This festive, event filled shopping weekend will include: refreshments, presentations, door prizes, and gift certificates. Cabot Mill Antiques is located in the beautifully restored historic Fort Andross building on the Androscoggin River at 14 Maine Street in Brunswick Maine. 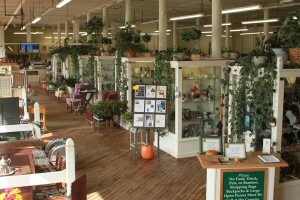 The antique mall is conveniently located close to restaurants including two in the Fort Andross building, Bowdoin College, museums, art studios, shopping, lodging and the Amtrak station. Cabot Mill Antiques has a vast array of merchandise with a price range for anyone’s budget. From period furnishings, to vintage collectibles, jewelry, rare books, art, textiles, nautical items, furniture, rugs, clocks, quilts, glassware, ironstone, pottery and ceramics as well as a variety of items in other categories. You’re sure to find something rare, unique and one -of-a-kind! Making it your one stop antique shop! Renowned Quilt Historian Kathy Kenney will be presenting “The Mill Girls of the 1830’s”, a history presentation through quilts and letters written by the young women who worked in the mills and factories, Saturday November 3rd from 11:00am to 12:30pm. Kathy Kenny originally from Down East Maine developed a love for textiles at a very early age. Kathy is a member or numerous quilt guilds throughout the United States including the Squannicook Quilt Guild, Massachusetts of which she is a founding member. Kathy is a Quilt Historian and loves sharing her knowledge with eager onlookers. Herb Aldrich will be discussing the “History and identification of 1800’s photography” including: daguerreotypes, Ambrotypes, tintypes, carte-de-visite and cabinet photos. You are invited to bring early photos that you would like to have identified, Saturday November 3rd from 1:00pm to 2:30pm. Herb Aldrich grew up in Waterville Maine and is a graduate of both Thomas College in Waterville with a Bachelor Degree in Business Management and the University of Maine, Portland with a Bachelor Degree in Art Education. Herb taught art for 22 years in Readfield Maine. Herb has a passion for all things antique and has been buying and selling antiques for over 35 years. Long time jewelry collector and enthusiast Jay McCamis will take us on a journey with “Jewelry Through the Ages: Victorian Era to Present Day”. Jay will also be available for verbal jewelry appraisals and questions, Limit 3 items per person, Sunday November 4th 11:00am to 12:30pm. Jay McCamis is a New England native who attended the University of Massachusetts Amherst and grated from Tufts University Museum of Fine Arts, Boston specializing in Jewelry Design & Metal work. Jay owned his own jewelry store on Martha’s Vineyard and has over 40 years of jewelry experience working in and with some of New England’s finest jewelry stores. Cabot Mill Antiques is an antique lover’s heaven, offering a very unique shopping experience. Sun streams in through huge windows, 16-foot ceilings add a sense of grandeur, river views, exposed brick, all add to a wonderful browsing experience. 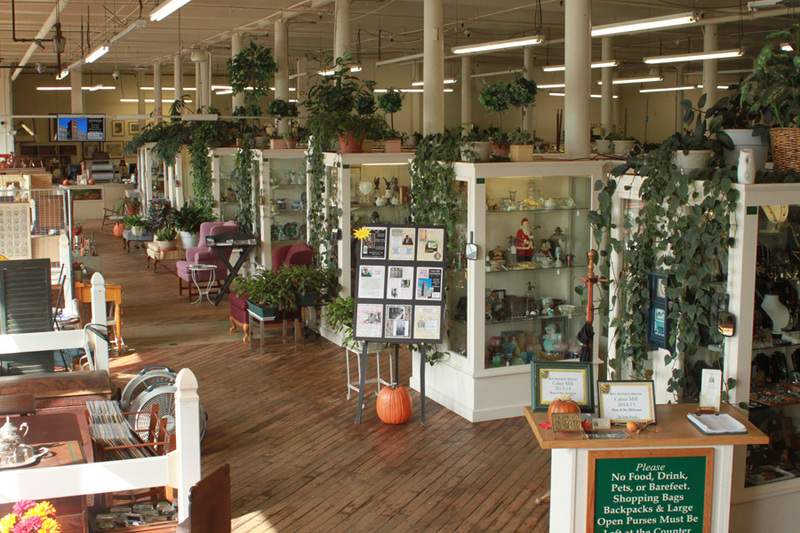 The multi-dealer antique emporium boasts over 160 quality displays, in its 16,000 square foot showroom making it one of the largest antiques destinations in Northern New England. Cabot Mill Antiques had been voted Best Antique Shop in Mid-Coast Maine for the sixth consecutive year. Offering special educational, appraisal and sales events, it is a true destination shop. Our friendly and very knowledgeable staff is here to ensure every visit you make is a pleasant one. We love answering questions and talking “antiques”! For more information please contact: Deborah J. Stufflebeam, Cabot Mill Antiques Manager, 207-725-2855 or email her at cabot@waterfrontme.com . Visit us on the web at www.cabotiques.com and Like us on Facebook. ← 7th Annual Victorian Mother’s Day Tea!